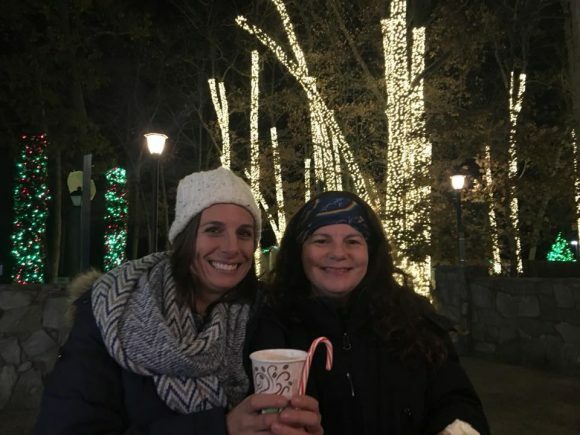 Posted on: November 27th, 2018	by Melanie C.
We were provided with tickets and complimentary parking to Six Flags Great Adventure Holiday in the Park to make our visit possible. 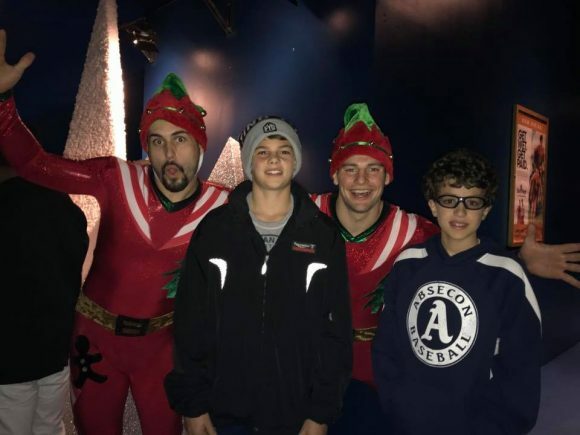 We appreciate their support of Jersey Family Fun that allows us to share with families information about New Jersey Holiday Light Displays we think your family may enjoy. 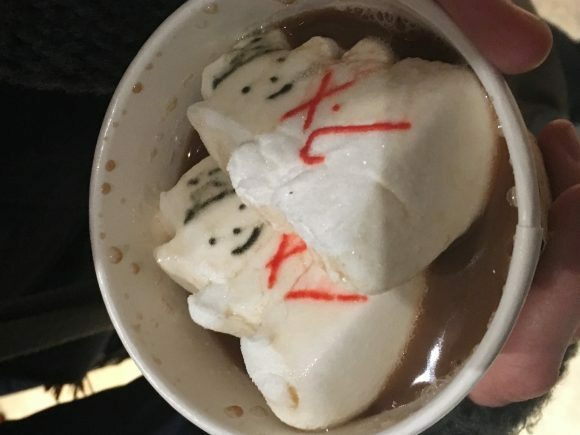 The Spirit of the Season Can Be Found Nearby! There’s so much to do at holiday time, and not enough time to do it all. Choosing what your family will enjoy the most is important! 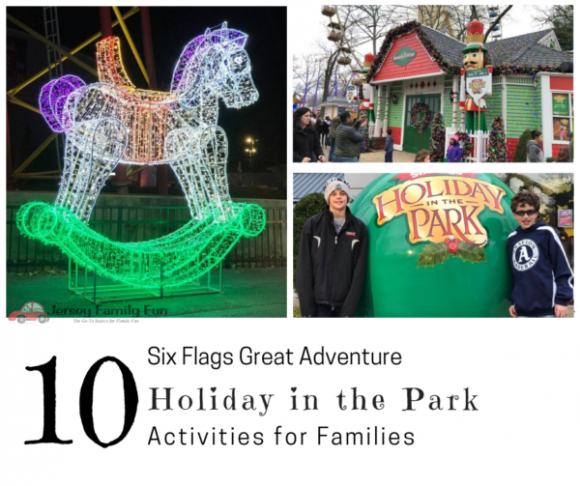 For the fourth year, Six Flags Great Adventure has joined in on the holiday fun with Holiday in the Park! This has become one of our family’s traditions and we always try to visit a few times during the season. The holiday music, the snow (yes, it snows there! ), the lights – there’s nothing missing from the Six Flags Great Adventure Holiday in the Park experience. Not all parts of the park are open but I can promise you won’t leave disappointed. 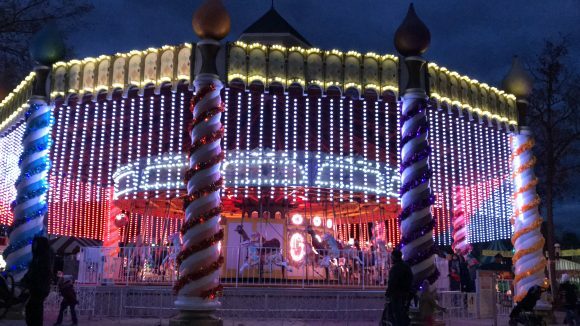 Rides are open and seasonally renamed and decorated, and there are many added features for Holiday in the Park! Indulge in warm holiday treats! 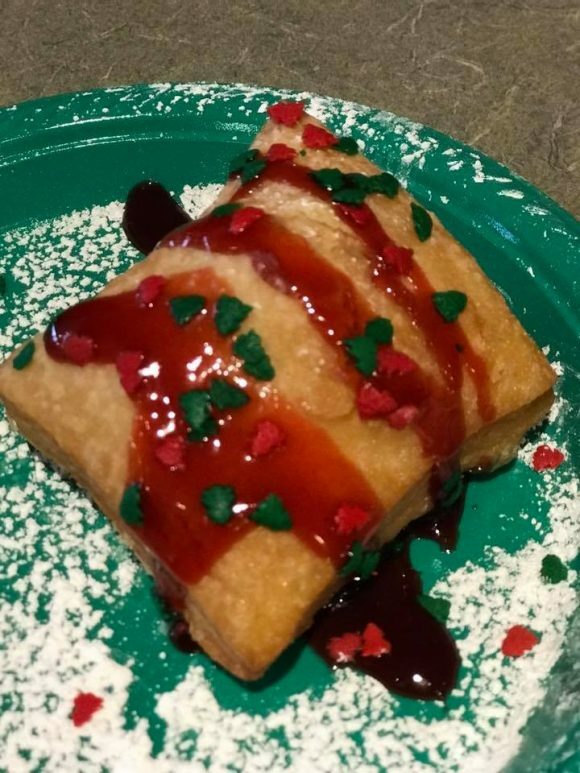 What’s a trip to the amusement park without some yummy food? Our holiday flavored hot chocolate hit the spot, and our mouths watered over the peppermint fudge and festive funnel cakes. New for 2018 you can indulge in a holiday feast. Specialty holiday platters of sliced turkey, smoked turkey leg and chicken platters with cranberry sauce, chili bowls, harvest salads and flatbreads and hot soups are available at select food establishments inside the park. The holiday feast does not disappoint. 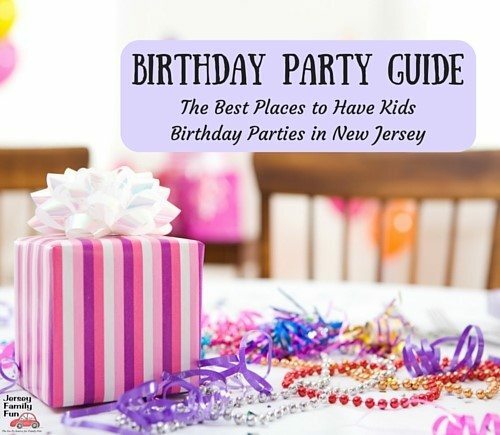 There are so many flavorful entrees and delicious desserts. Dance to all the Christmas music! I was thrilled to get a chance to hear local band Holiday Express live in concert the day of our visit. They won’t be back this season, unfortunately, but Six Flags Holiday in the Park does have plenty of live entertainment! On weekends, enjoy the harmonies of vocal group Hotsy Totsy! When you enter the park be sure to grab a map/show schedule so you don’t miss any of the shows. I personally really enjoy the entertainment at Six Flags and was happy to see some top notch performances during Holiday in the Park. We love Justice League: Battle for Metropolis! There are actually a few places at Six Flags Holiday in the Park to get out of the elements! In North Pole Village kids can write a letter to Santa. Then travel right across to Santa’s House and give the big guy the letter right away! There may be a line to get in, but once you’re in it’s so perfectly decorated and Santa is of course so welcoming, you’ll warm up immediately. No photos with your personal cameras allowed, unfortunately. You can still ride and be inside too, with JUSTICE LEAGUE: Battle for Metropolis, Dark Knight and Skull Mountain! 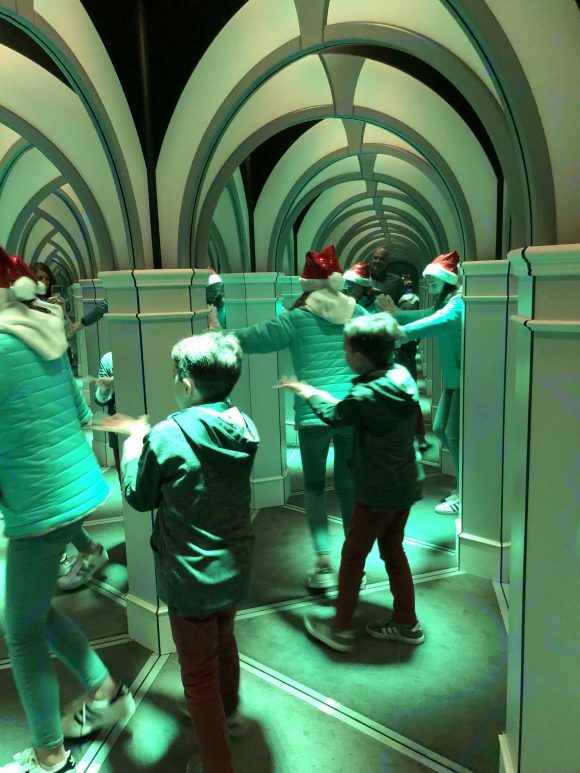 Get lost in the all new 2018 is the Holiday Craze Mirror Maze. It’s an additional cost but discounts are available for season pass holders. Our family had fun trying to find our way out in all the colorful lights and dozens of mirrors tricking us! Also inside you can find the new show, Wonder: A Cirque Spectacular. This dazzling, new theater production features astounding acrobats with song and dance that illustrates the moments of hope, joy and celebration the holiday season brings. This 25 minute production featured dancers in shimmering costumes with a vocalist at the forefront, a magician who made it snow, and acrobats who bounced from trampoline to trampoline and seemed to fly through the air. Meet and greet with Looney Tunes characters! 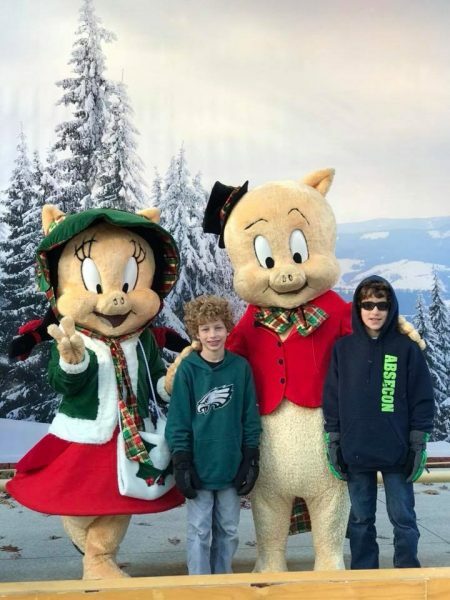 Your favorite Looney Tunes characters are dressed for the season and ready to meet you! Look for Bugs Bunny, Sylvester, Porky Pig and all their friends throughout the park. 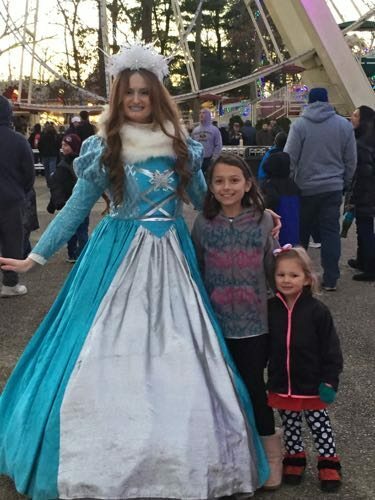 Meet the Poinsettia Princess and Snow Queen as you walk through the park. Look up so you don’t miss the marching soldiers on stilts. Around every bend at Six Flags Great Adventure Holiday in the Park is another amazing photo opportunity. Stand by a HUGE ornament, ring the bell in the train, or pose inside a giant wreath. Put on your best smiles and you just might get your Christmas card photo! Have the camera ready for photo ops like this. Light up the night with your favorite rides lit up for the holidays! It gets cold when the sun goes down, so make your way to some of the thrilling and fun rides open during Holiday in the Park! Skyscreamer, BATMAN™ the Ride, the Ferris Wheel – they’re all outside and can get breezy so ride them when the sun is out. In addition to more than 30 favorites like Nitro, SUPERMAN™: Ultimate Flight and JUSTICE LEAGUE™: Battle for Metropolis, guests can now catch a bird’s-eye view of the lights on Parachute Training Center and spin like a gyroscope on the new CYBORG™ Cyber Spin. All rides are weather permitting. Frontier Adventures including Safari Off Road Adventure, Bugs Bunny National Park and Plaza del Carnaval do not operate during the festival. Children’s rides are open in Whimsical Wonderland. Check out the Facebook Live from the 52 foot LED Christmas tree where on the half-hour guests are treated to a light and music show. Our video will debut on Facebook on Friday, November 30 at 7 pm. Sign up for a reminder here. Each section of the park has a fun name, and has its own decorating style. You’ll find peppermint swirl wrapped trees in Gingerbread Junction, and ice blue trees in Polar Point. We loved finding all the different trees; poinsettia tree, ornament tree and of course the 52 foot tree in the fountain! Look out for the giant gingerbread man, Santa, and snowman too. 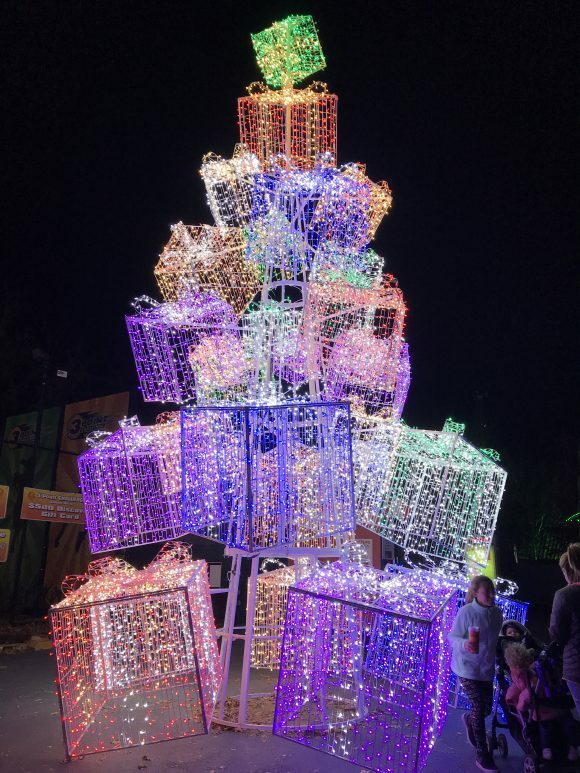 So Many Holiday Lights at Holidays in the Park! The tree is so impressive, but it’s not the only light display! It’s really so beautiful in the park when the sun goes down. Millions of lights are in the trees, draped on the rides, and moving all around. Pictures don’t do it justice, you’ll have to check for yourself! 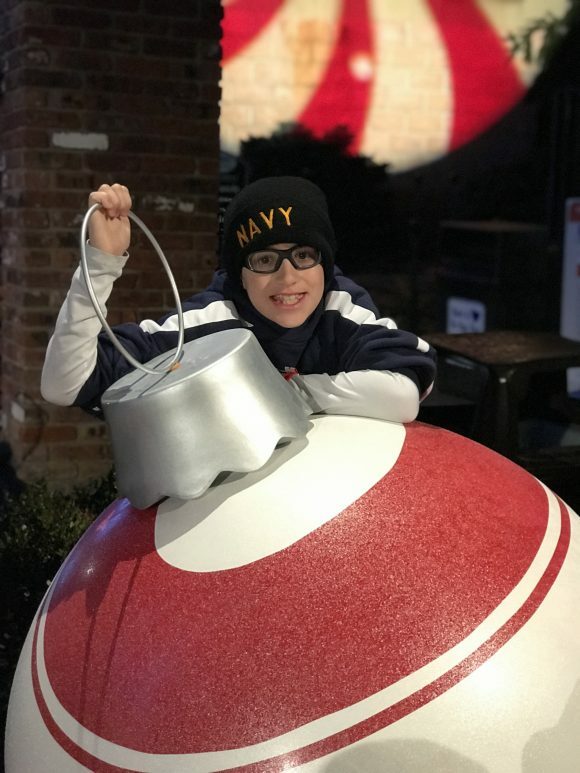 Stroll down Peppermint Path, reflect on the reason for the season at Joy to the World, and you can’t miss the carousel or the larger than life Christmas decor! Have you ever seen presents this big? Holiday time goes so fast, and kids seem to grow even faster. With the lights, the holiday music and the joy of the rides and shows it’s a great time to take a breath and capture the moment. Whether you’re visiting with family, friends or both, just ENJOY! 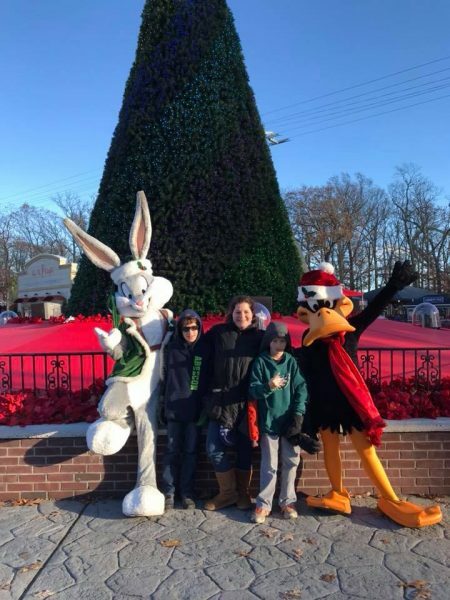 Six Flags Great Adventure Holiday in the Park is open weekends and select days now through January 1, 2019. Admission starts at $47.99, with discounts available for online ticket purchases. Season pass holders visit free! Acrobatic elves from Six Flags Great Adventure Holiday in the Park Wonder a Cirque spectacular posed for silly pictures. Hi Christy – Season pass holders can visit Holiday in the Park free, but admission costs are General Admission — $69.99, Children Under 48” — $44.99, 2 and Under — FREE. You can save if you purchase online before you get to the park.